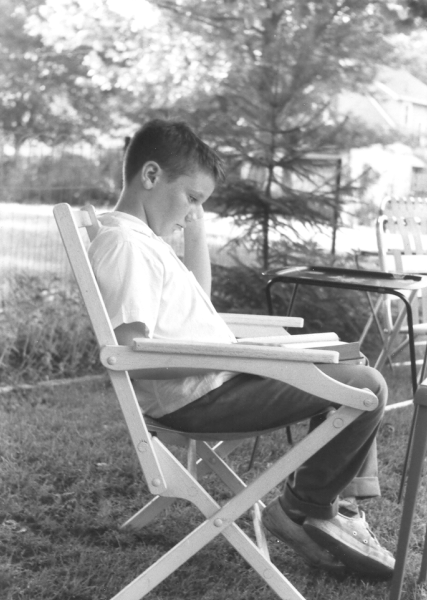 Me, at a family get-together, doing what I normally did -- bury my nose in a book. I would guess I'm maybe twelve-ish in this picture. Well, it was at at my grandparents' house and Grandaddy did have a great library. Some of which I now have here. I was definitely not an outgoing kid. Not that I'm outgoing now.